Between ordinary consumers and large retail chains, Romania’s consumer protection authority ANPC chooses to protect the image of supermarkets. Consumers lose every day. They cannot know whether they’ve been tricked even when large retailers are officially fined. Corporations, whose image is systematically protected by the ANPC, keep winning. 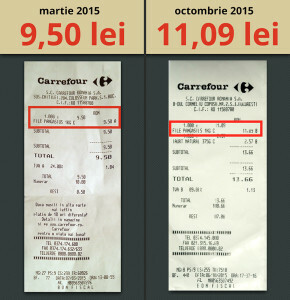 A Frenchman bought fish in Bucharest and found he was cheated by his fellow countrymen, French retail chain Carrefour. David Contant has been living in Romania for eight years and is a chef. He prefers to buy his own ingredients to make sure his dishes are top quality. Sometimes, he says, he only goes to check food products because stores make many mistakes. Contant realized how Carrefour cheated him last year and has since been fighting Romanian authorities to ensure the public is informed of the abusive practices of large retail chains: “I found, for instance, what Carrefour does. I bought Pangasius fish, not for myself, just to check. The ice glazing is used to preserve the product better. I realized this glazing accounted for as much as 40 per cent of the product. You pay for one kilo but you only get 570-600 grams of fish. Something is fishy!” said David Contant. It all started in December 2014, when, although he paid for a kilo of Pangasius fish, Contant found after defrosting the fish that the bag contained 366 grams of water. He bought four other bags of the product, from the same store – Carrefour Unirii – and realized that each time he had paid for ice instead of fish. He complained to Carrefour but received no reply. Carrefour entered the Romanian market in 2001 and opened 170 stores. 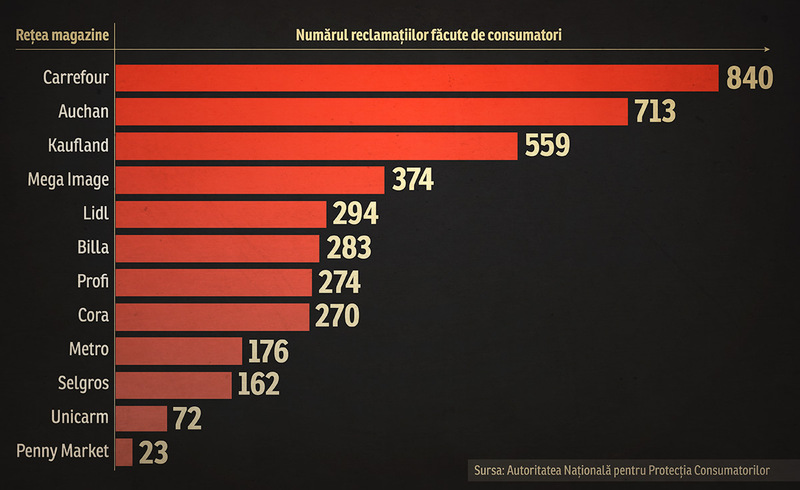 According to statistics from the consumer authority, starting 2014, the retail chain was targeted by the largest number of complaints from Romanian consumers. David Contant complained to ANPC of the quality of products sold by Carrefour and other large retailers. The state institution informed Contant in January 2015 that his complaint was grounded and confirmed, but he was not told what measures were applied. “The company has been fined and legal measures have been taken. Thank you for your confidence in our institution and we assure you of our full support,” ANPC wrote to Contant in January 2015. A few months later, in March 2015, the chef received a new reply from the consumer protection authority, concerning the fish. This time he was informed the institution had ordered “a full halt on sales for the existing stock with the expiration date 26 July 2015”. The Pangasius fish in question was pulled from the shelves for a while, but was later back on the shelves bearing an additional label stating the product weighed 700 grams. Since then, the price of this product increased, even though the government meanwhile lowered the value-added tax on food items from 24 per cent to 9 per cent. Therefore, after paying more to receive just 700 grams instead of one kilo, customers later paid more because the store raised the price of the product, despite the fact that the value-added tax on food dropped by 15 percentage points starting June 1. 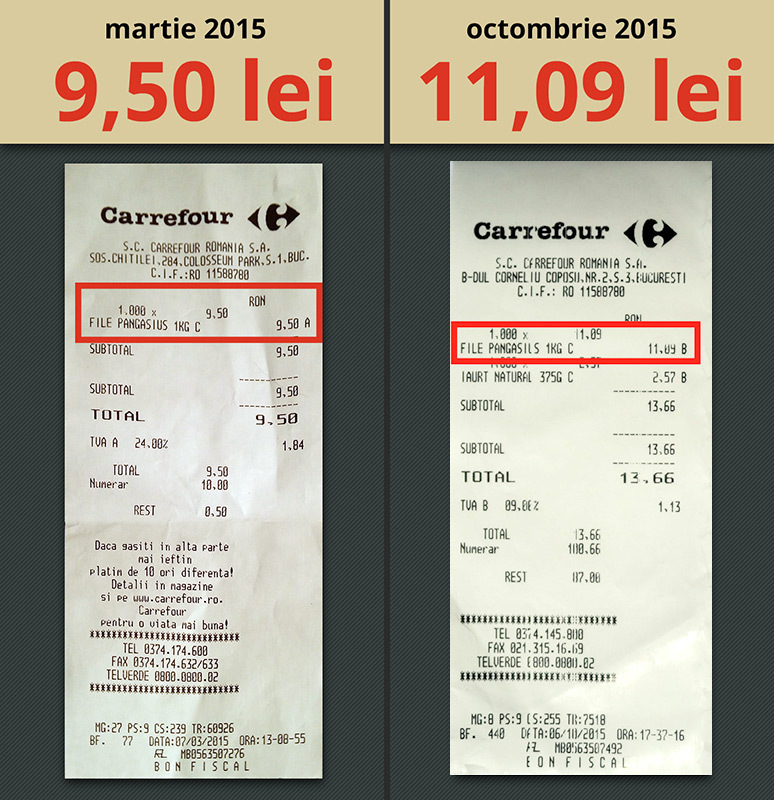 Comparație între prețurile la care s-a vândut produsul în magazinele Carrefour, în primăvară, după amendă, și, respectiv, în toamnă, după reducerea TVA. Carrefour officials provided a general response regarding the reasons for raising the price of the product for which it was fined: “Most products Carrefour sells have similar prices regardless of the store. Carrefour sets its pricing policy locally (we include here the possibility of local promotional sales) depending on market demands and constraints related to the manufacturing, packaging and transport of products in relation to its suppliers”. The Frenchman asked ANPC how cheated customers who bought Pangasius were compensated. In June 2015, ANPC sent him to the Carrefour Unirii store to get his money back, 2.45 lei, the money he was charged for ice instead of fish. But Contant didn’t stop there. He asked consumer protection officials whether all other cheated customers had been informed they could receive their money back. But ANPC did not publicize the case, as is its usual practice when it comes to penalties imposed on large retailers. “When you find out they are fined 2,500 to 5,000 lei for stealing… a group as large as this… I’m sorry, I must laugh! If you steal from them, you go to jail. Where is the justice?” says Contant. Carrefour Unirii, the store where David Contant bought the fish, is still selling the product PANGASIUS DISCOUNT BRAND. 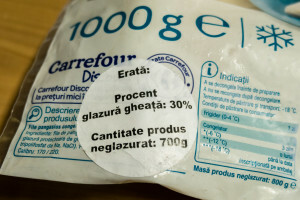 The packaging states its weight: 1,000 grams, plus two other contradictory weights – 700 grams of product unglazed and 800 grams for the same fish without the ice glazing. Erata aplicată de magazinele Carrefour. The fish is from Vietnam, it was captured and frozen in September 2014. It was packaged ten months later and the product expires in September 2016. In the end, ANPC fined Carrefour for the irregularities noted by Contant but did not say how much. The National Consumer Protection Authority, subordinated to the Government, must check large retailers in order to protect consumers. moreover, the institution is supposed to combat the practices that hurt the lives, health, security and economic interests of consumers. But the public doesn’t know what stores are checked by ANPC, what fines are applied or what measures are taken to protect consumers. There are currently 12 supermarket chains operating in Romania, with over 1,670 stores. RISE Project tried to find out which stores of large retail chains in Romania have been investigated and fined by the consumer protection authority. Paul Silviu Anghel, general director of ANPC, cited the law and said the information we requested was not public, arguing, among other things, that its release would harm competition and economic operators under investigation have the right to confidentiality. Senator Iulian Urban, who is a lawyer and the head of the Consumer Assistance Association, is of the same opinion: “The response provided by ANPC is odd and illegal since, as per legislation, its activity is 100 per cent funded with taxpayer money… The law regulating this institution contains no clause whereby they can refuse to release information of public interest [the application of fines is of public interest]. ANPC only stated the number of complaints it received against large retail chains. From January 2014 until September 2015, ANPC received 4,040 complaints from consumers, meaning around six complaints a day. 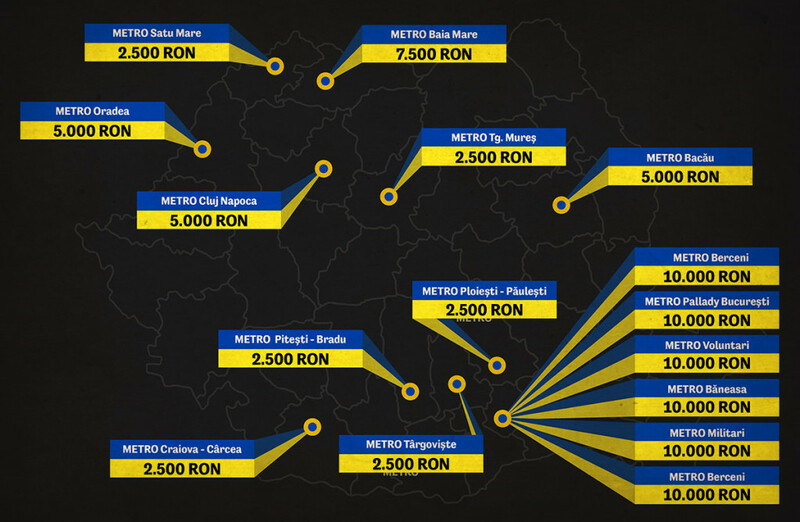 The Frenchman also found irregularities in products sold by a METRO store in Bucharest. Foods that weighed less than it said on the packaging. Contant found products such as ARO smoked bacon, ARO smoked ham, and Horeca Select bacon contained less meat than indicated on the product label. Dissatisfied with ANPC’s attitude, the Frenchman also took his case to the Romanian Office for Legal Metrology (BRML). Among other things, the institution checks weighting devices and the preciseness of measurements for products up for sale. In July 2015, metrology inspectors started checking all METRO stores in the country following Contant’s complaint. Considerable weight differences were found for all the products he had indicated. Customers were paying for packaging at the price of the product. 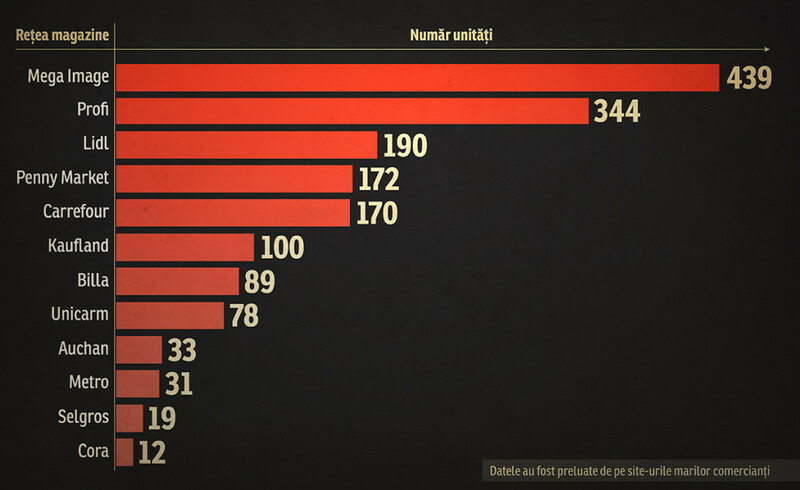 Of the 31 stores owned by retailer METRO, 15 were fined a total of 92,500 lei. According to Finance Ministry data, Metro Cash & Carry Romania SRL had revenues of nearly 4.5 billion lei last year and Carrefour Romania SA had revenues of more than 4.5 billion lei.